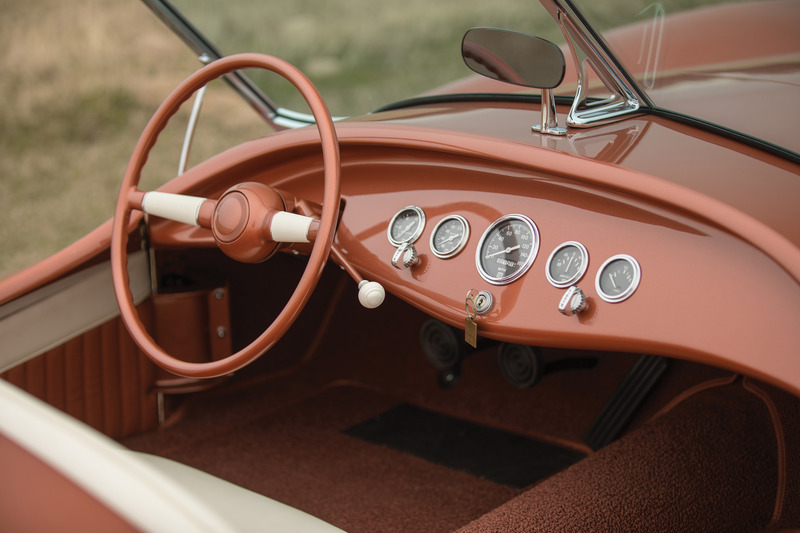 The Glasspar G2 is considered by many automotive historians to be the first production car with a fibreglass body, it was a major contributing factor behind the surge in popularity of fibreglass-bodied vehicles in the United States in the 1950s and beyond – resulting in iconic cars like the Chevrolet Corvette, the Meyers Manx, and the DeLorean DMC-12. 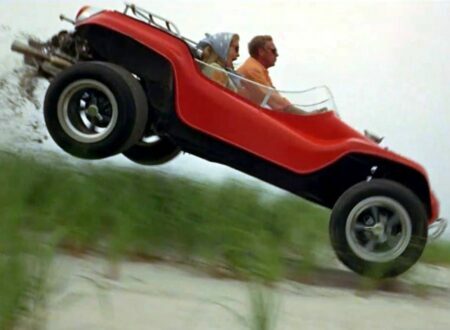 The story of the Glasspar G2 encapsulates the early days of the American custom car movement, defined by people building unique automobiles in their garages using chassis and bodies built by small companies that advertised in the back pages of car magazines. 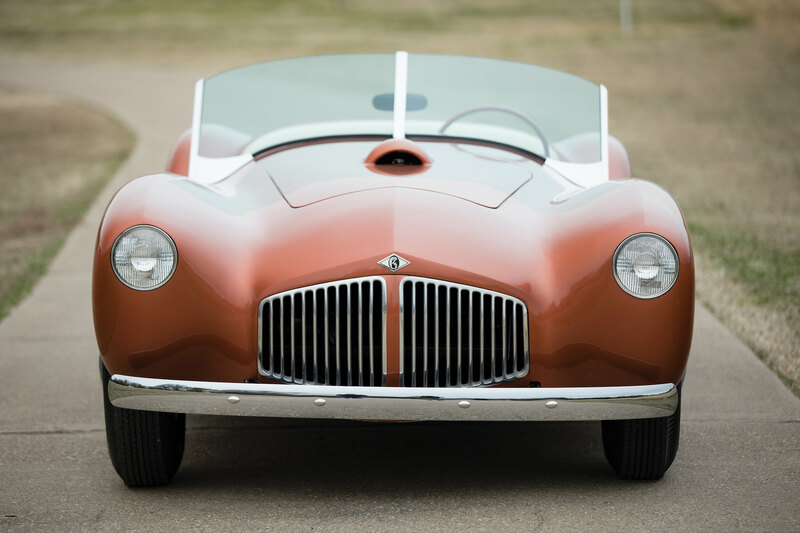 Fibreglass quickly became the material of choice for these custom car builders as it allowed strong, lightweight bodies with compound curves to be shaped up quickly and easily. 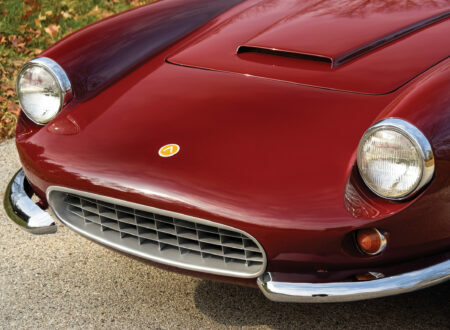 The added benefit of course is that fiberglass is cheaper than steel or aluminium, and it’ll never rust. 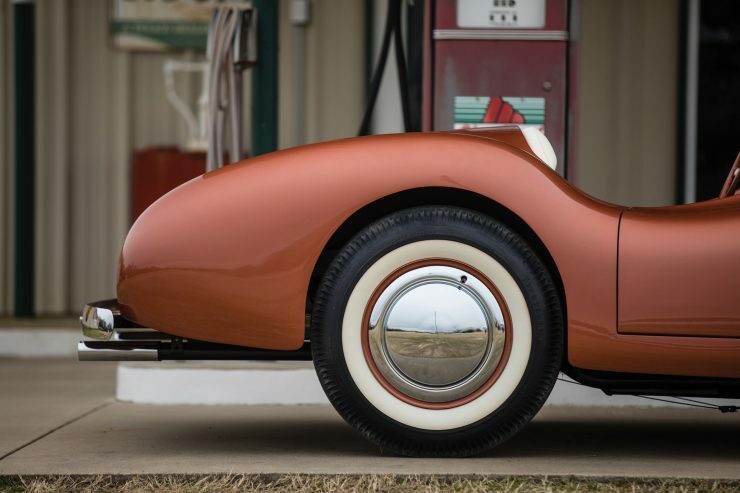 The Glasspar G2 started life as the Brooks Boxer, a car based on a modified Willys frame with a Willys six-cylinder engine fabricated by Air Force Major Ken Brooks in 1949. 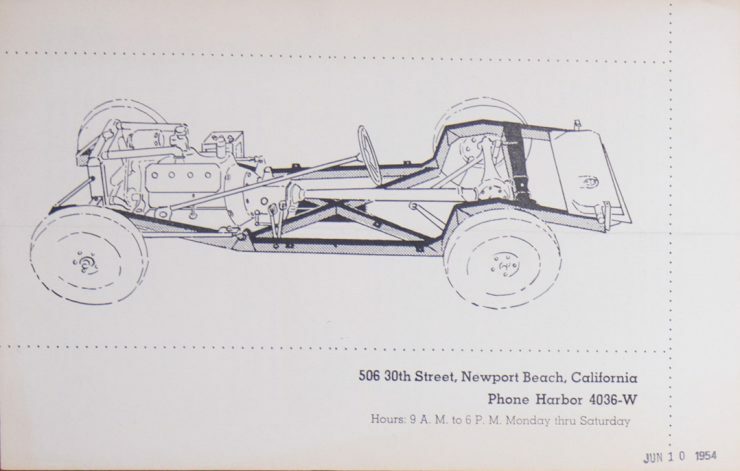 Brooks hadn’t figured the body out yet but his friend Bill Tritt had an idea, Tritt was a marine architect who used a new material called “fibreglass” to build boats in his Santa Ana workshop. 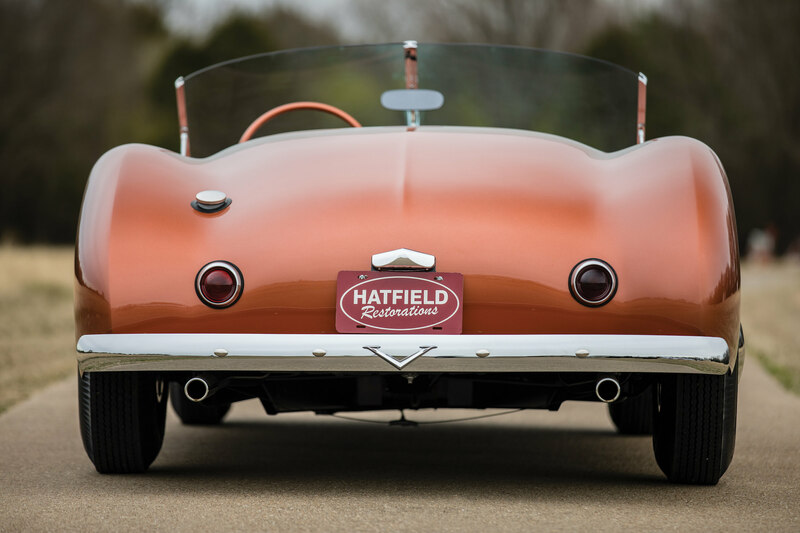 Tritt’s idea was to design and mould an all new-fibreglass body for the chassis that combined both American and European influences. 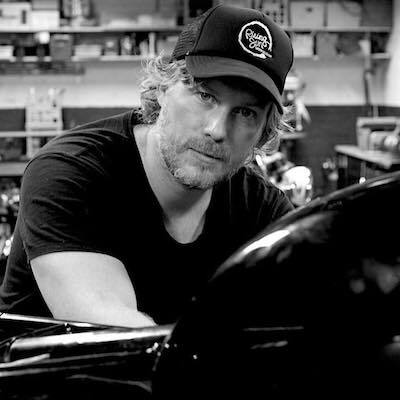 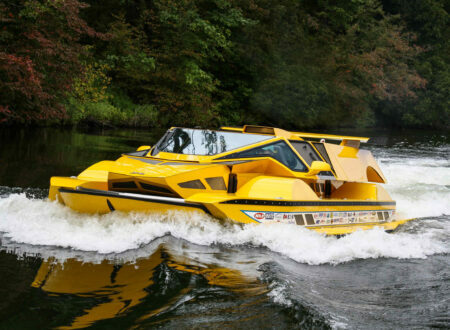 The design was crowd sourced and it included input from Brooks and his friends and family as well as Tritt, once a final design was chosen a mould was created and the new body was laid up. 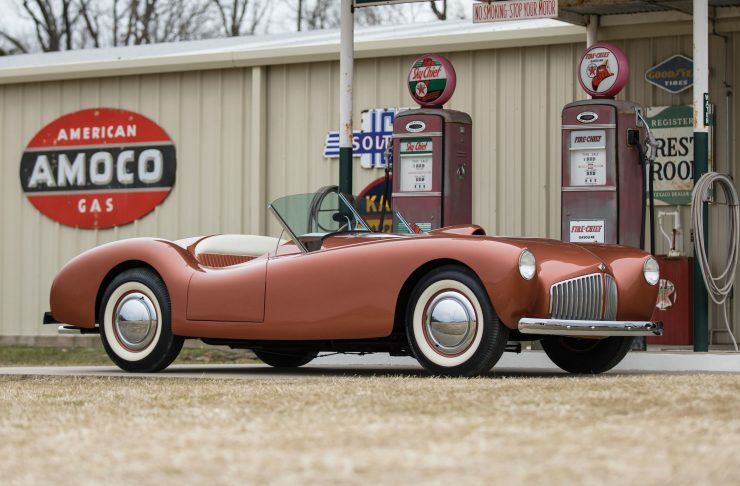 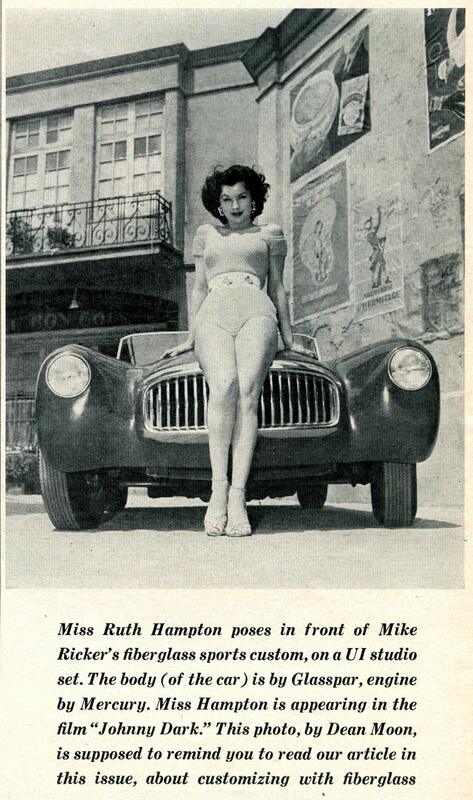 Once the new Brooks Boxer was completed it was shown at the 1951 Motorama exhibition, it proved to be one of the big hits of the show, and it encouraged Tritt to expand his boat building business to include a small automotive division. 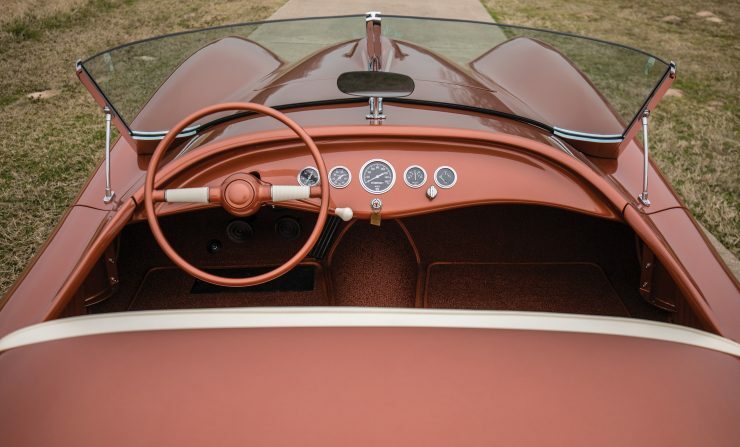 The Brooks Boxer design was further developed and combined with a new chassis, this new model would be called the Glasspar G2 and it would signal the beginning of a wave of similar cars that would later be known as “kit cars”. 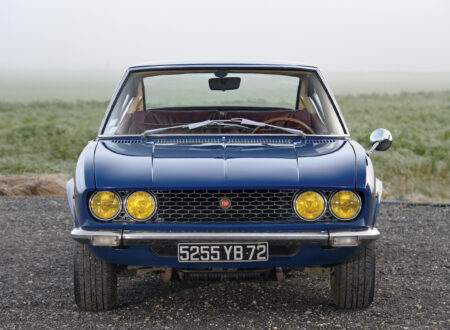 There’s some disagreement about whether the Glasspar G2 was the first production car with a fibreglass body. The Kaiser Darrin and Chevrolet Corvette both came along shortly after the G2, however there’s some debate about whether the G2 was a true production car. 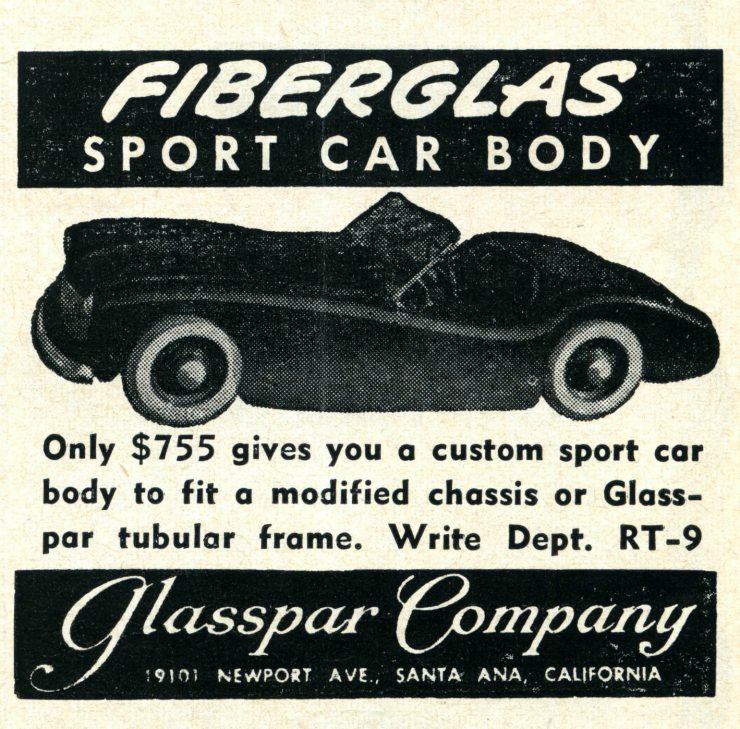 Customers could order their new Glasspar G2 as a complete turn key car with its own chassis, but most opted to buy just the body and either fabricate their own chassis, or buy a chassis. 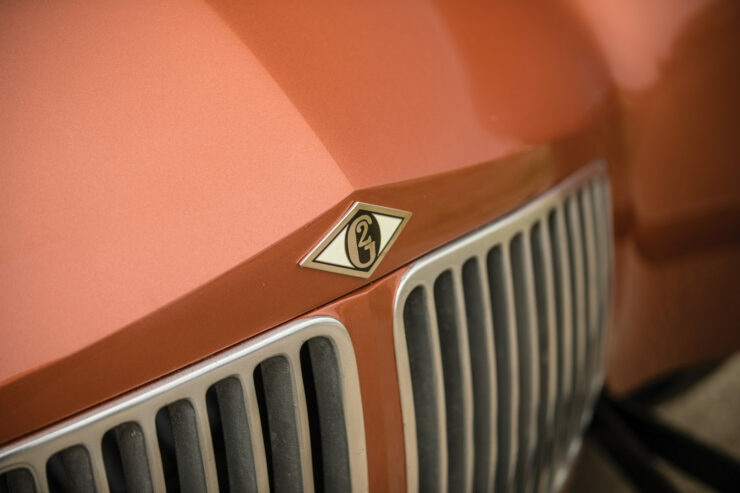 So the G2 was technically a production car, but the number produced complete from the factory was relatively low. 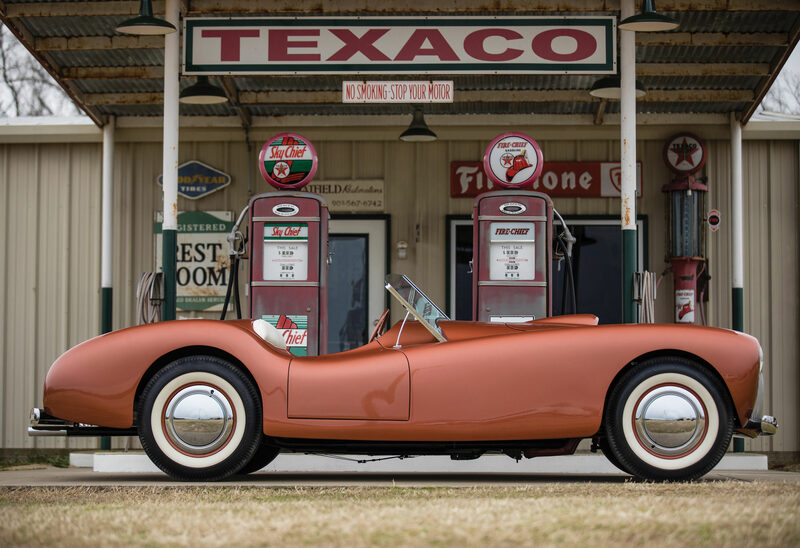 The Glasspar G2 was built from 1951 to 1953, it’s not known exactly how many cars were completed as most were sold as bodies and many of them were never completed, though we do know that approximately 150 bodies were made. 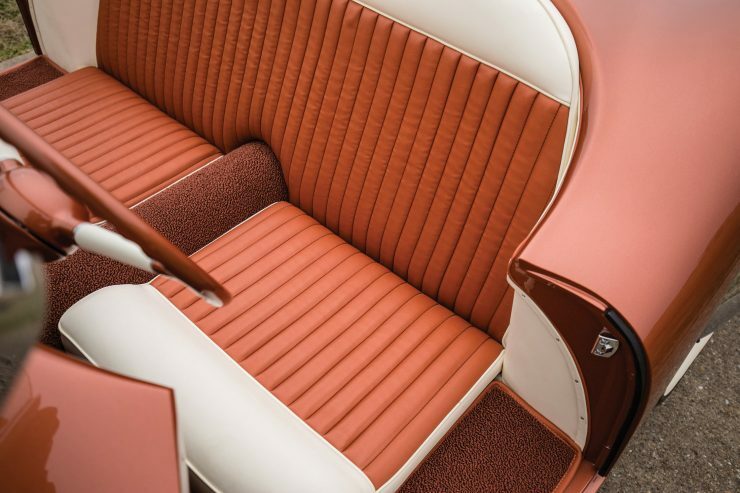 Surviving examples of the G2 are now highly collectible and thanks to the marine-derived fibreglass construction methods they’re often in much better shape than many other fibreglass cars from the era. 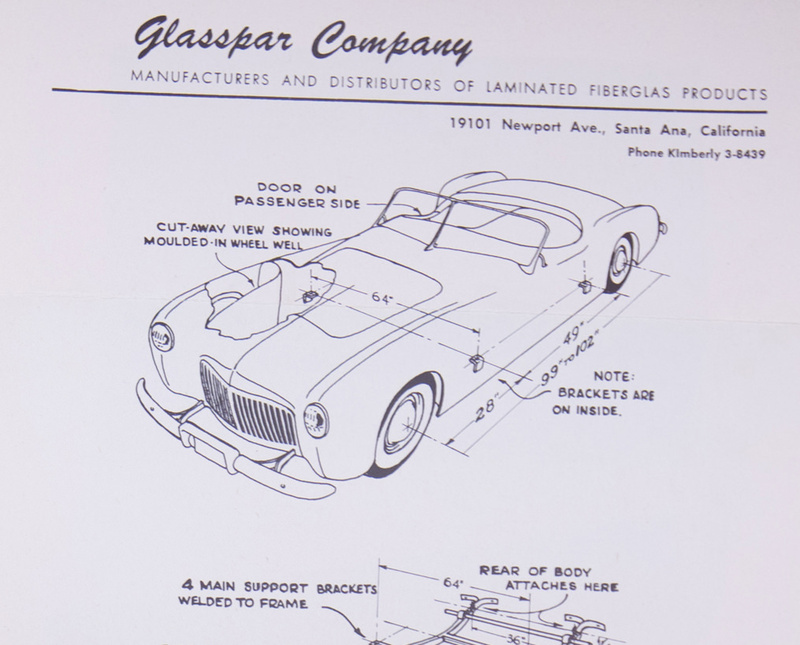 The Glasspar G2 you see here was bought in kit form and completed in 1953 by Emilio Pistoresi, the owner of the Chrysler dealership in Madera, California. 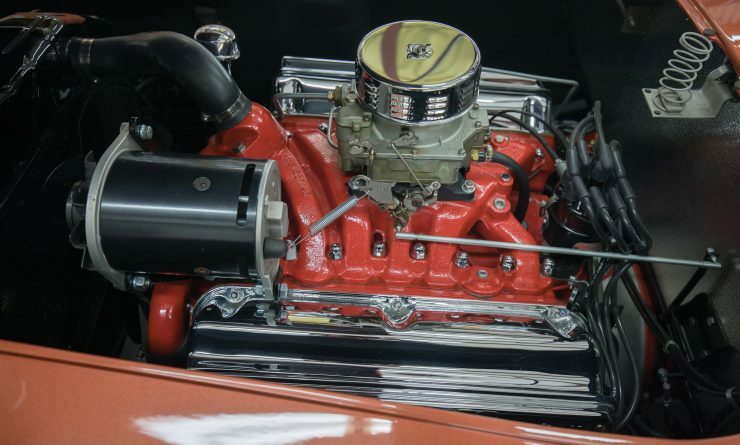 Pistoresi fitted a 291 cubic inch DeSoto Hemi V8 engine that was coupled to a transmission and rear axle sourced from a 1940 Ford. The Pistoresi family treasured the car and kept it for decades, through the 1950s, ’60s, and ’70s before Emilio began to disassemble the car for a restoration. Sadly he would never complete it, but his son wanted to ensure that the car was finished, so he sold it to a well-known restorer based in Texas. 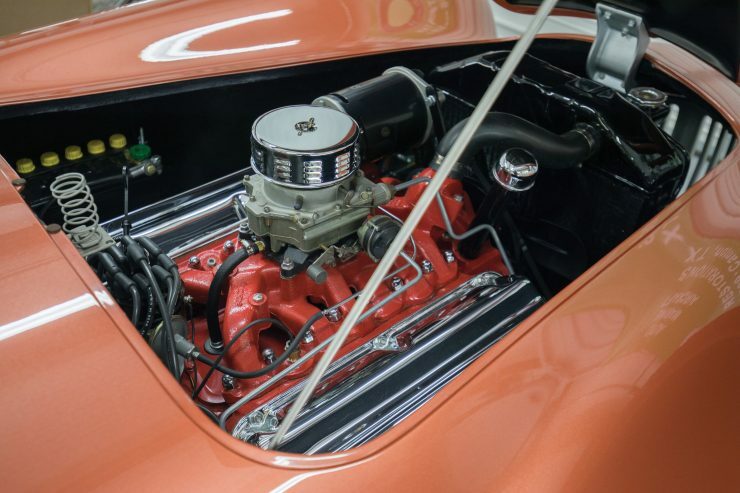 The car received a comprehensive restoration including a freshly powder-coated frame, immaculate paintwork, a beautifully appointed interior, and the cleanest engine bay you’ll see this month. Since the restoration the car scored a 1st place award at the 2016 Sante Fe Concours, and it’s now undoubtably one of the finest G2’s in existence – there are only 30 or so thought to remain. 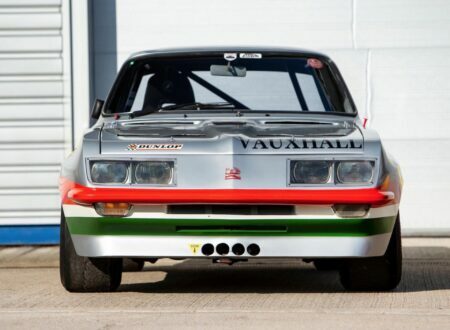 If you’d like to read more or register to bid you can click here to visit the listing on RM Sotheby’s. 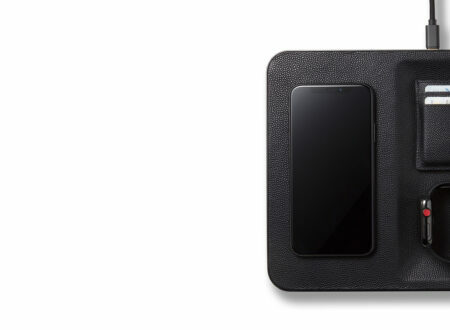 The estimated hammer price is between $65,000 and $90,000 USD, and it’ll be crossing the block on the 8th of March.